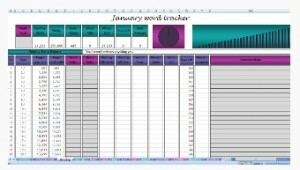 Whether you’re trying to keep up with NaNoWriMo or a New Year’s resolution, competing with fellow writers, or just looking for a little extra boost to your public accountability factor, using a visual word count meter can be just the ticket to keep your fingers moving. Below are the 13 best places I found to get free word counters for your blog, social profile, or website. (If you see one you like, click the site name in large print to get it for yourself.) Some are simple. Others have a bunch of options to let you play with the design and style. Each of them will let you measure your writing progress as you go, and that’s the main thing. Please note: I have not tried all of these, so — as always — use your own good judgement. With any of these tools, unless noted otherwise, you can manually adjust the number to reflect your own individual writing goal. Also, if you select one of the meters which relies on outside image hosting, keep in mind the image you’ve chosen could experience some overload the first few days of November and go blank for a moment or two as the WriMos descend back into the cybersphere. Hang in there. You know we drop off like flies. This word tracker is a simple HTML progress bar which does not rely on outside images. The site gives clear instructions on how to tweak and recolor it to your liking. The counter below is another self-hosted cut-and-paste HTML code, and color can be modified easily. This counter does not have to be manually updated (as a few of the others do), so the benefit is that your code only has to be pasted in once. It works by using your Facebook login info, and you can toy with various color combinations to customize the display. Here’s another rounded word bar, and I have to point and giggle at the instructions: “Don’t enter anything except numbers, because the form can’t generate a percentage with non-numeric characters. You can’t really blame it; bet you can’t, either.” I love her already. If the iGoogle homepage is your thing, the gadget directory shows several NaNoWriMo-specific tools which look pretty neat. (Actually, it shows it even if it’s not your thing. Semantics. You know what I mean.) One of the tools will compare the progress of your whole NaNo buddy list at a glance, and another will track the word counts for you and a competing friend side-by-side. Unfortunately, these may not be as cool as they sound; the time may have passed when they’d work properly. When NaNoWriMo reworked their site from scratch,it may have affected the compatibility of the Google toys. On the bright side, if there’s was enough demand for these to exist before, there’s a good chance they’ll exist again or be upgraded themselves. I tried lots of things, but until I got to the magic phrase, which turned out to be “word count meter”, most of my searches were completely fruitless. And stressful. And aggravating. Therefore, I decided to gather what I found into one post, include all those remixed phrases, and hopefully save someone else the same hassle. I’m sure there are more. That’s why I’m asking: If you’ve had success with any of these or if you know of others that should be on the list, please let me know in the comments! Thanks so much for doing the Googling work for me! 🙂 I’m trying to find a good progress meter for editing my novel. From my NaNo experience, I know I need the visual feedback that I’m getting somewhere. I’m going to check out all the links you’ve collected — thanks! No problem. Very glad you found it useful, and thanks for saying so! I loved your sense of humor, haha, and of course, the images were gorgeous. I couldn’t resist. thanks for the info. 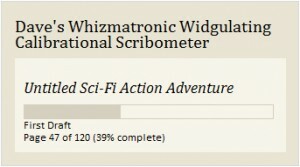 I have been looking for a good word count widget all day. Thanks for finding them! I was having a heck of a time finding them myself. The best app for writing/editing a novel I’ve found is Scrivener. Made by and for writers. It’s invaluable! 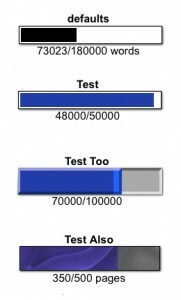 For word counter tool, I would like to suggest this site also: http://wordcounttools.com. It’s handy and reliable. I wish instead of html codes and such that someone actually had a word platform (like King Software or Microsoft word) that actually kept track of what I wrote for that day. I am in the middle (literally) of two books I am writing. So it’s not like I can just use my cursor the copy what I wrote and paste it into a word counter lol. I literally have words everywhere because I am adding to the story in various stages in the book. Good point! Hmm. What I’d love to see is something that runs in the background and tracks a total keystroke for the whole computer, which you could ideally turn on and off. I wonder how many words I spend every day in emails and Facebook posts. I might be afraid to know that. Well, if you try Scrivener, it has a very handy gadget that you can pop up in a tiny window and it will track your progress and show a meter to your daily goal as well as overall goal. It’s kind of addicting, actually! It’s not for the whole computer, but just what you’re putting into the ms, no matter where you’re writing. I just tried Scrivener with the free trail for NaNo, and I’m very pleased! Doesn’t have it’s own thesaurus like Word, (it wants to go online for that) but it’s great for tracking, and also for rearranging scenes. I am not techie at all, and I manged to install and run the script in Google Drive. BUT you have to remember to work in the ‘sandbox’ file and DO NOT open yesterday’s copy. It compares today’s copy of the doc with yesterday’s and then counts the word difference. As a bonus, it emails you a copy of what you wrote so you can never lose it. I have scrivener and LOVE it, but sometimes I write shorter fics in Drive or want to share with my betas. Use ywriter. It gives a total word count at a glance without going through any menus and how many you’ve written that day. Also with two clicks you can access you’re writing count for every day you’ve worked on it. 4. share all of the above with one or two fellow writers using the same progress tracker so we can provide each other with accountability and support. Thanks so much !!! Exactly what I was looking for !!! 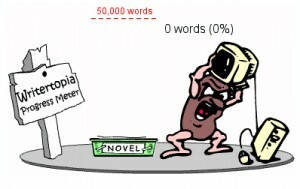 I just put out a new tool this year called Word Keeper Alpha (http://wordkeeperalpha.com) based on the NaNoWriMo tools and graph. 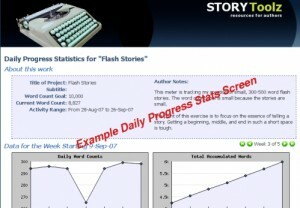 Track your daily word counts, set goals and projects. While I’ve slowed development down a little bit to work on my own book (arguably what I should have been working on instead) I’m still going to be adding more features and refining things as time goes on. This is fantastic! Just what I was looking for. I need a wordcount widget for FB. The html ones just show the raw code, not the widget. Help? Yeah, I’m honestly not sure. These are just for blogs and websites — Facebook apps are a whole ‘nother beast. Sorry, wish I knew! Megaera – there used to be one for FB called Word Tracker, but it appears to be dead. 🙁 I liked it. For WordPress users, I would consider WP Word Count, which I have found is the most flexible word count tool for WordPress. 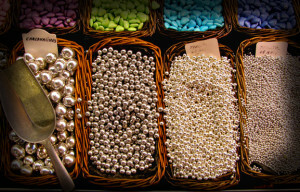 With a shortcode, writers can insert a word count into any piece of content on their site. The plugin also allows writers to keep track of the total words published, both across the whole site and for specific post types. Hope this helps. Coming in [very] late on this one (just found your page while searching for word count trackers), but pacemaker.press is pretty much perfect for word count tracking for NaNoWriMo or just writing in general. I tried to use 2 of these widgets in my wordpress blog, no joy. both show up as regular text, not a pic. If you’re looking for something prettier than just the HTML based wordcount trackers, try https://www.tickerfactory.com/counter. You have to sign up and create an account but it is free. If you’re looking for something prettier than some of the HTML based wordcount trackers, try https://www.tickerfactory.com/counter. You have to sign up and create an account with Ticker Factory but that is free. Thanks for your listing. I’ll be sure to link it up when I do a round up post! Another great program that’s free, makes graphs, and tells you how many more words to go with your project is Write Track by David S. Gale. 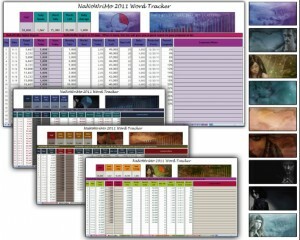 writetrack.davidsgale.com I really enjoy using the NaNoWriMo style calendar tracking. Plus you can connect with other users. Thank you for your hard work in linking up so many different options! Camp nano here I come! Happy Writing!